Almost 15 years after she first appeared in Sea Priestess, Dion Fortune wrote about her heroine Vivien Le Fay again. 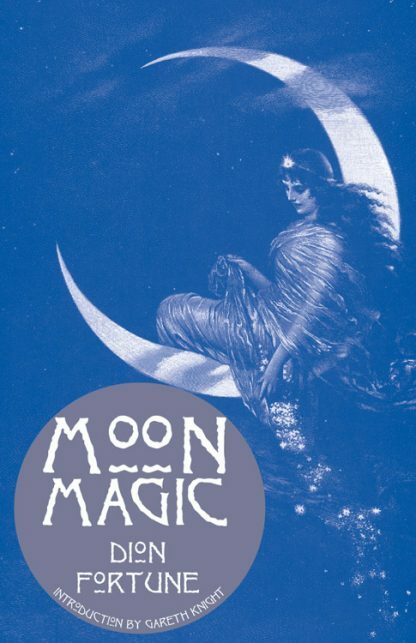 In Moon Magic Vivien appears as Lilith Le Fay, and uses her knowledge of moontides to construct an astral temple of Hermetic magic. Dion Fortune (1891-1946), founder of The Society of the Inner Light, is recognized as one of the most luminous figures of 20th-century esoteric thought. A prolific writer, pioneer psychologist, powerful psychic, and spiritualist, she dedicated her life to the revival of the Western Mystery Tradition. She was also a member of the Order of the Golden Dawn, whose members included at various times such people as A.E. Waite, Aleister Crowley, and W.B. Yeats. Gareth Knight is one of the major occult practitioners and authors of today. His many books include Experience of Inner Worlds, Magical World of the Tarot, Secret Tradition in Arthurian Legend.